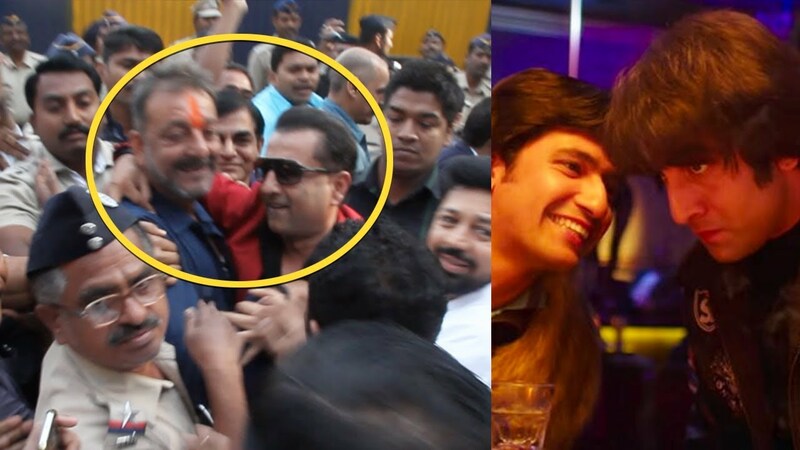 Here Is The Unseen Footage Of Real Life Kamli Meeting Sanjay Dutt After His Release! Filmmaker Rajkumar Hirani’s Sanju is emerging unstoppable at the box office as the film is racing towards 300 crores at the box office. Of all the reasons why the film has been loved by the audience, one of the main reasons is the depiction of the friendship between reel life Sanju and reel life Kamli played by Ranbir Kapoor and Vicky Kaushal respectively. Rajkumar Hirani’s Sanju is winning hearts all over with the heartwarming bond between Sanju and Kamlesh played by Vicky Kaushal in the film. Reminiscing about the highs and lows shared by the two, real-life Kamli ‘Paresh Ghelani’ was overwhelmed and even wrote a heartfelt letter on his social media handle for Sanjay Dutt after watching the film. Now we have got our hands on a rare unseen footage of Paresh Ghelani meeting Sanjay Dutt after his release from prison. While Sanjay Dutt’s life, time and again made headlines, a lot of unbelievable aspects of the actor’s life yet remain untold. Rajkumar Hirani’s Sanju brings to the forefront the unabashed details of the actor’s life unfiltered highlighting aspects like drugs, women, relationship with parents and friends, and inner conflicts. Previous articleNetizens Hail Superstar Hrithik Roshan As The Biggest Crowd Puller This Millennium! Next articleAmazon Prime Video Original’s Comicstaan Gets Launched Today!